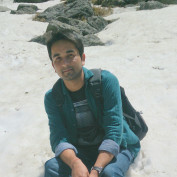 My name is Neeraj Sharma.Iam from Shimla - Himachal Pradesh , India. I am happy to be here on Hubpages where I can write about anything like how i feel,what i want to share.Its been an entirely new experience to me and i am enjoying it very much ..
For me TV series has replaced watching movies,I have rather enjoyed TV shows more than movies as they don't end in just 2 hrs..:). Here is my list of TV shows that I have found interesting.